Spring nail polish for 2011 is a mixed bag of vibrant shades, neutral tones, and precious metals. The main problem is usually the price, instead of trying to choose which color is the best. So to help you out we have paired similar shades in five must-have spring colors, so you can have the option of either grabbing the steal nail polish or shelling out for the splurge version. Neutral shades are really hot for spring 2011, so you can find multiple shades in neutral tones just about anywhere. Our choice for the best neutral splurge nail polish shade is Sizzling Taupe from then Estee Lauder Pure Color Spring 2011 Limited Edition Collectio. This beautifully perfect neutral nail color compliments all skin tones, and adds a slight hint of shimmer to your nails. Priced at around $19, it has landed on the splurge side of our best neutral nail polish must-have. If you want to save a few bucks and still get a great, and trendy, neutral nail polish shade for spring then you have to try our pick. At the top of our must-have neutral nail polish steal list is San Tan-Tonio from OPI's Spring/Summer Texas Collection. It is equally as perfect and beautiful as the Estee Lauder version, but instead of a slight shimmer you get a high shine. Why not trade the shimmer for the shine, especially when you can save major bucks at the same time. 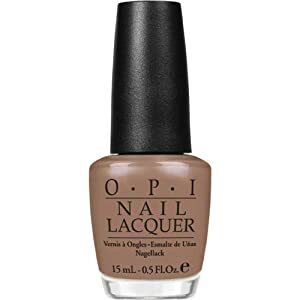 Priced anywhere from $5.50 - $8.50, it's easy to see why OPI made its way onto our must-have neutral nail polish steal. Robin's egg, baby blue, sky blue or whatever you want to call it, it's a must-have shade for spring 2011. Our pick for the must-have baby blue splurge shade is Riva from Chanel. I myself am not a huge fan of bright blue nail shades, however this one has stolen my heart. This hot shade came out in December 2010, so it's a hard one to find now, but if you can find it be prepared to shell out the cash. The shade is a perfect robin's egg color, which makes it oh so perfect for spring. Think spring, think Easter, and think about the perfect baby blue shade on your nails. Priced anywhere from $45 and up, if you can find it or afford it then why not give in to this splurge? Whether you are a Justin Bieber fan or not...there is no denying the new spring 2011 shade "Baby" Blue from the One less Lonely Girl Collection by Nicole by OPI is surprisingly pretty. It may be named baby blue, but we like to think of it as a fun and spring-ready robin's egg blue. Either way you look at it it's a fun and fabulous nail color for spring, and the price is nothing to dismiss either. Priced at around $7, it's definitely easy to see why it made its way onto our must-have spring nail polish list. Vivid, and beautiful, orange/coral shades are perfect for both spring and summer. Especially when you have a bit of a glow and tan to your skin, corals really look vibrant and fresh. For spring 2011 it's a staple color for either/or fingers and toes, but surprisingly there isn't an overstock of coral tones available yet. One shade that's new for summer 2011 is Girls Just Want to Have Fun by Deborah Lippmann. This creamy coral tone will look great on your toes, and your fingertips. The price of around $24 (depending where you locate it, if you still can) places it more on the splurge side of the nail polish spectrum, yet it's still affordable and definitely a must-have for spring. Just in time for spring 2011, Revlon has released their Fire and Ice collection. One of the must-have shades from the Fire and Ice collection is a bright and beautiful orange/coral shade called Siren. Revlon's Siren Nail Polish is perfect for your toes, and your wallet. The shade is equal to that of any splurge brand, and Revlon states that their nail polish will give you "10 days of lasting color and shine". Priced from under $5 to around $8, depending on where you pick it up, it's definitely a budget-friendly must-have nail color for spring 2011. Purple is a hot shade for spring 201, but not just any purple. Sure, you have the option of pastel purple, but one of the hot (and must-have) purple tones come in a grape Kool-Aid type of shade. You could also compare it to Barney, but who wants to go that far? Well, once you look past the possible shade name of "Barney Purple", you have to grab Estee Lauder's Purple Passion Nail Polish as your purple spring must-have shade. 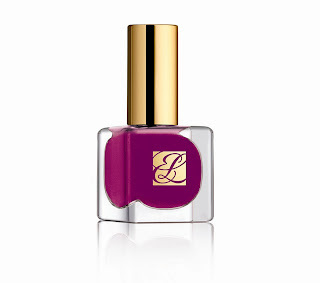 Estee Lauder nail polish always delivers in the color, shine and non-chipping category. The price point of around $19 places it on the splurge side of nail polish land, but it's still worth every penny. If you're in love with the perfect grape purple nail color shade for spring 2011, but hate the high-end prices then you're in luck! New for Spring 2011 try Wet n Wild Fast Dry Nail Colour FuchsiaRama. The colour is nearly identical to the Estee Lauder shade, but the price is a lot less at around $1.99. No, that's not a mistake. The best part is the Wet n Wild FuchsiaRama Nail Color has a nice shine, goes on great, dries fast and doesn't chip easily. With the super low price, under $2, it's a no-brainer as to why it's this spring's must-have purple nail color. Another must-have shade for spring 2011 is a super healthy -looking summer grass green tone. Estee Lauder's Pure Color Nail Polish in Wicked Green is the perfect splurge choice for this tone. 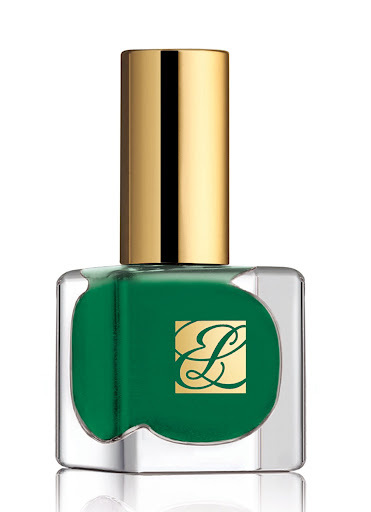 As with any Estee Lauder nail polish, Wicked Green looks perfect on your nails, and lasts for days. The price is around $19, which means that it's on the splurge side of the nail polish spectrum, but this shade is hard to find so sometimes a splurge can also be a steal. If you want to be "green" with envy this spring, while showing your super-chic nails to all that can see them, then you need to check out the steal version of green from OPI. OPI's Don't Mess with OPI is a perfect match to the splurge version from Estee Lauder, but you're saving nearly 10 bucks, while still getting a really great nail polish. The average price for OPI's Don't Mess with OPI is anywhere from $6 - $8.50, depending where you find it. The low price lands it on the steal side of the nail polish chart, and the quality nail lacquer from OPI gives you the added bonus of no chipping and a great spring look.